Financial Tribune- Cultural heritage officials have yet to decide on what site to nominate for inscription on UNESCO’s World Heritage List. Though last month it was reported that the Caspian Hyrcanian forests, which line the Caspian Sea shores in northern Iran, would vie for a place on the coveted World Heritage List, an official at Iran’s Cultural Heritage, Handicrafts and Tourism Organization said no decision has been made yet. “There are three dossiers that are being reviewed,” Farhad Nazari, director of the Cultural and Historical Heritages Registration Office, told Mehr News Agency. Aside from the Caspian Hyrcanian forests, the organization is reviewing files on Masouleh Village in Gilan Province and Uraman Village in Kurdestan Province. 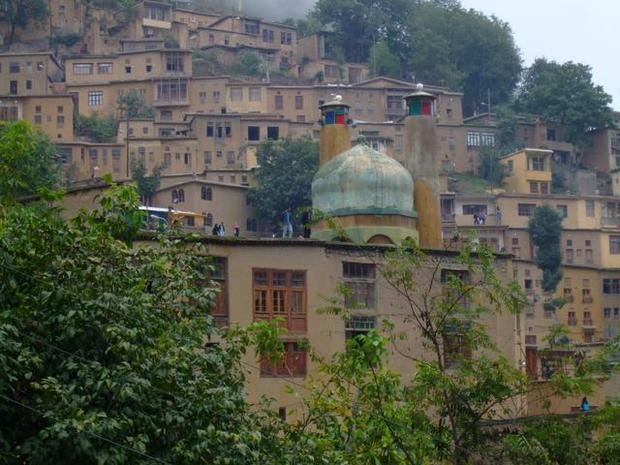 Masouleh is one of the most scenic mountain settlements in Iran. Inscribed as a national natural and cultural heritage, the likes of this old terraced town are rare to find elsewhere in the world. Located in Uraman Takht rural district in Sarvabad County, Uraman Village is considered a source of Kurdish art and culture from the days of yore. Thanks to the preservation of its heritage, architecture and a unique religious ceremony—Pir Shalyar—Uraman is visited year-round by domestic and foreign tourists. Both Masouleh and Uraman are located on a steep slope; they have a dense and step-like architecture, such that the roof of each house forms the yard of the one above. Iran’s 22 world heritage sites rank it 11th worldwide and first in the Middle East. Next year, Iran hopes to inscribe the incredibly biodiverse Arasbaran Forest in East Azarbaijan Province, along with three cities in Fars Province collectively known as the Ensemble of Historical Sassanian Cities, comprising Bishapour, Firouzabad and Sarvestan. Officials say they’re also working on the dossier for the ancient city of Meybod in Yazd Province for inscription in 2020.